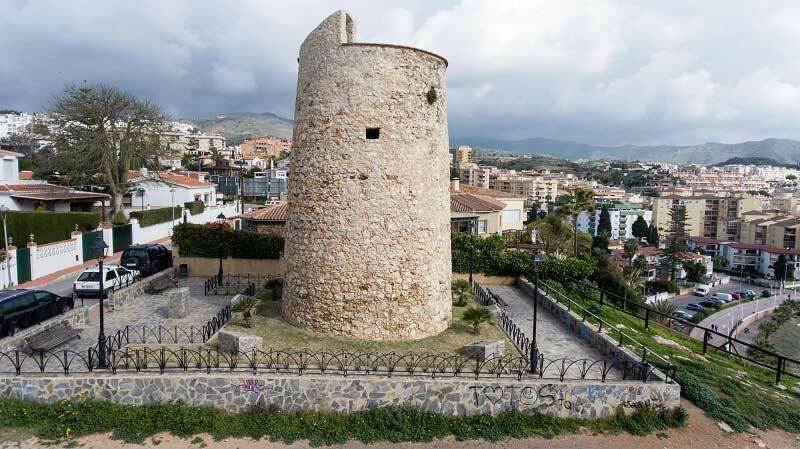 Is a defensive fortress dating from the 18th century wich has been restored and is currently used for exhibitions and cultural activities. It is a simple construction with a square ground plan, exterior walls made of rubble and two defensive towers. Is an important archaeological enclave that it had his origin in centuries VIII and VII a.C., of whose first time have been important rest of Phoenician ceramics. Of the republican period a wall of the style is conserved “opus africanum”, but the archaeological rest more outstanding correspond at the end of III and the principles of IV d.C.
Is located on a cliff to about 30 meters on the sea, presents/displays a trunkated cone form, with diameters of Maxima circumferences and 6.25 minim of 7.15 and mts. respectively, being its 10.65 height of mts. Located on a small knoll, also presents/displays a trunkated cone form with diameter of circumference of 7 mts. in base and 6 mts. in coronation, with a height of 10.50 mts.